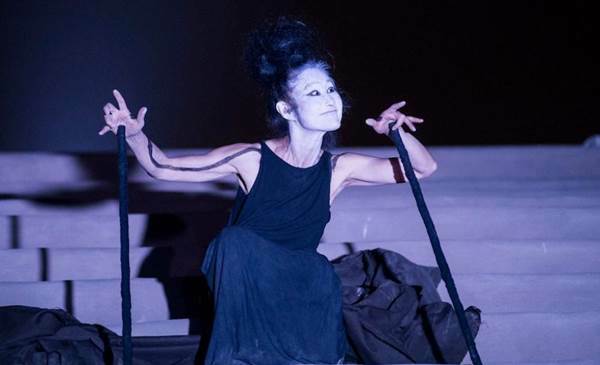 For its 10th anniversary,B-Floor Theatre & Butoh Co-Op Thailand presents: "BUTOH DECADE: THE 10th INTERNATIONAL BUTOH FESTIVAL THAILAND 2015" will take place in the capital of Thailand, Bangkok, March 7-15, 2015 with a special appearances by local favorites, Sainkho Namtchylak (Austria), Yumiko Yoshioka (Japan), Miguel Camarero (Spain), A system of exercises to extend voice and body into better performance. Overtone singing from Central Asia- past and future to develop overtone singing and extended vocal techniques in modern music for the singers and performers. Performance suggested donation 500 THB / 400 THB students (no one turned away for lack of funds).